You are here: Home / Is It Paleo? / Is Coconut Oil Paleo? Yes, coconut oil is definitely Paleo. In fact it’s one of the most loved sources of natural, healthy fats there is in the Paleo diet. 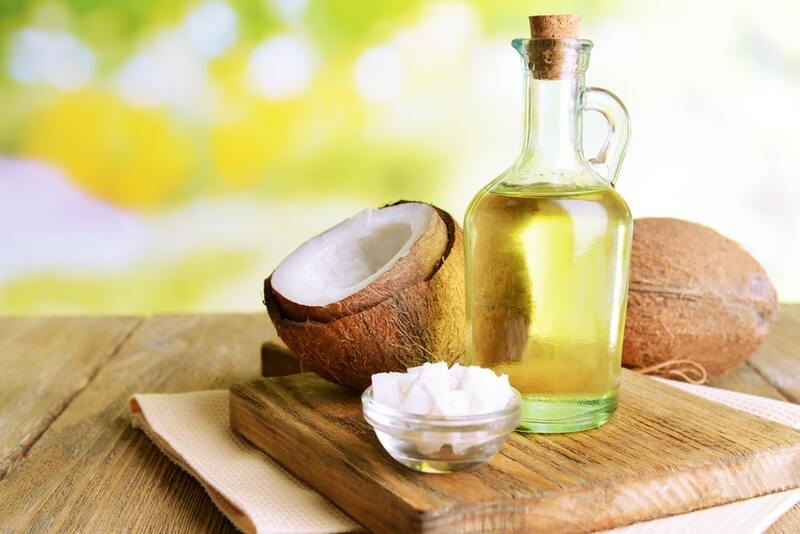 You might already be aware that it provides the specific type of beneficial fatty acids called medium-chain fatty acids (or MCFAs), but coconut oil’s uses go way beyond this. Coconut oil can be used in “the kitchen, the bedroom and the bathroom”, in dozens of different ways. Take a look around the internet and you’ll realize there’s more than 100 different documented ways to use coconut oil at home every single day. As one of the most versatile, healing oils there is, coconut has been used by populations living in tropical parts of the world for thousands of years. Only over the past several decades has it become much more popular in the U.S and Europe, thanks mostly to emerging research that shows it’s one of the easiest fats to metabolize and digest. What makes coconut oil so special, especially compared to other poplar oils on the market? The secret lays in its unique chemical composition. It’s often called a “superfood” because it not only provides essential fats, but it’s also capable of fighting bacteria within the body, supporting metabolic functions, helping with hormone production and improving cognitive performance. And let’s not forget it can be used as a natural skin moisturizer, acne fighter, hair conditioner, shaving cream, hair mask, oil-pulling ingredient and even as a natural sunscreen. It all has to do with coconuts’ fatty acids, MCFAs. Coconut oil contains mostly saturated fats, and although this might trigger fear in some people who aren’t aware of the benefits of fats, it’s actually pivotal to its many well-documented health benefits. Unsaturated long-chain fatty acids (for example the kinds found in nuts, olive oil or avocados) take longer for the body to breakdown and metabolize, however medium-chain fats are efficiently digested and then provide a source of quick-acting energy. This is why coconut oil is believed to be “burned off” very quickly and to support weight loss in most cases, rather than weight gain. And this is true despite the fact that coconut oil does have a decent amount of calories (the same as other oils, with about 120 calories per tablespoon). Another interesting fact? For the body to burn through long-chain fats, it must go through a 26 step process (including various enzymes, etc. ), but when breaking down medium-chain fats it only go through about 3 steps. This is one reason why coconut oil is very easy to digest, even for people with digestive disorders (like leaky gut syndrome for example). Coconut oil also satiates you quickly and can help kill cravings, since it keeps you full for a long time. It’s also capable of withstanding high-heat cooking temperatures, unlike other oils that easily become rancid including olive, avocado, sesame or flax seed oil. Finally one of the major benefits of coconut oil is that it provides anti-bacterial fatty acids called Caprylic acid, Lauric acid and Capric acid. Research shows around 62 percent of the naturally occurring oils found in coconuts are made up of these 3 healthy fatty acids, and that they naturally help fight the presence of harmful pathogens within the gut. Coconut oil naturally has anti-microbial and anti-fungal properties, which makes it beneficial for healing gut issues, viruses, and bacterial infections including leaky gut syndrome (when the gut becomes permeable and leaches particles into the blood steam) or Candida (a virus that commonly causes low energy and sugar cravings). Other benefits include helping to cure Urinary Tract Infections, fungal infections on the skin, healing wounds, clearing up acne and detoxifying the liver. 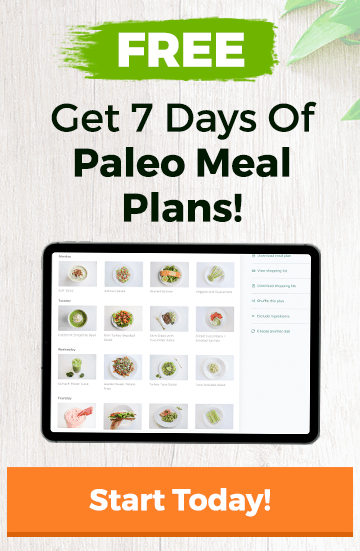 The bottom line on coconut oil being Paleo: There are numerous reasons to start using coconut oil every day, especially over refined vegetable oils like corn, safflower, canola, and soybean oils. Coconut oil is completely natural, derived from “cold pressing” the meat of coconuts, and shelf-stable. While coconuts were feared for many years due to being very high in calories and saturated fats (about 91 percent of the fat in coconut oil is saturated), we now know that natural sources of fats like the kind found in coconuts actually help with cholesterol and triglyceride management, weight loss or maintenance, increasing energy levels, fighting infections and battling sugar cravings.